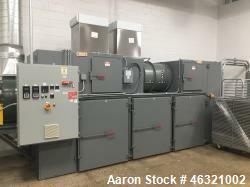 Below is Aaron's inventory of unused and used belt dryers. 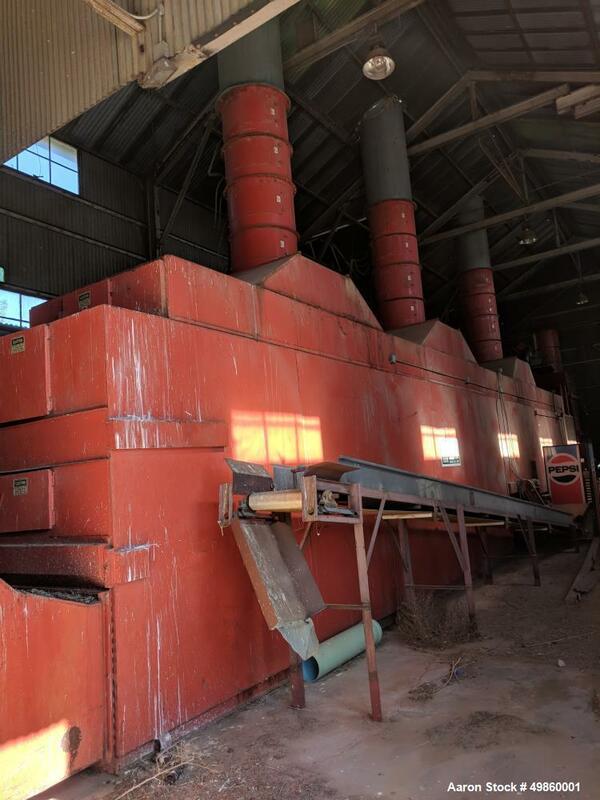 If you are looking to sell your used belt dryer submit a request online or contact Erik Eichert at 630-238-7480. 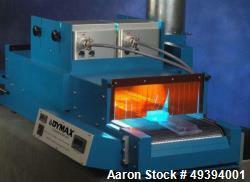 Dymax UVCS-D5-2B-120 Ultraviolet Conveyor Cure System. 12" Conveyor. (2) EC-5000 Ballast/bulbs. 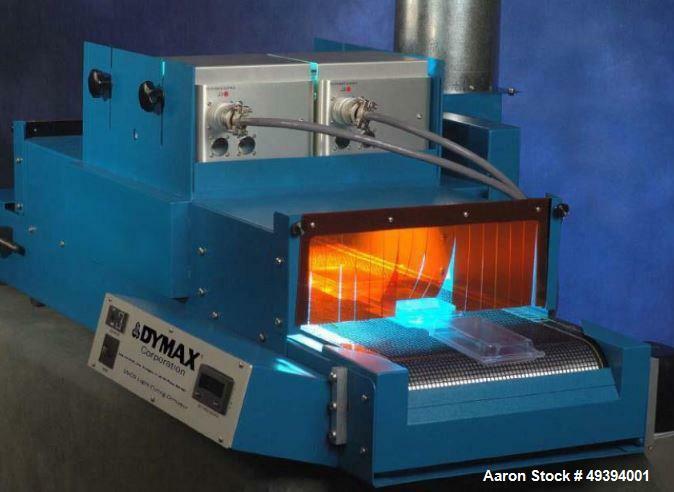 Used- Dymax UVCS-D5-2B-120 Ultraviolet Conveyor Cure System. 12" Conveyor. (2) EC-5000 Ballast/bulbs. 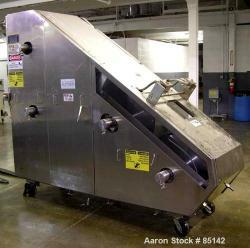 Used- Belt-O-Matic Dehydrator, Model 6X33 2.5W. Product holding capacity 125 cubic feet at 3" depth, 875 cubic feet at 21" depth. Multi fans have power to maintain 51,000 CFM at 1-8" water column pressures. Secondary air flow through top puts 85,000 CFM through product; 10,000,000 BTU. 304 stainless steel belt. Mfg. 1992. Used- Berndorf Belt Systems (BBS) Inclined Belt Flaker. All sanitary stainless steel construction including drums, belts, frame and enclosure, continuously cooled belt surfaces, cooling medium in drums. Drums are 12" wide x 24" diameter. 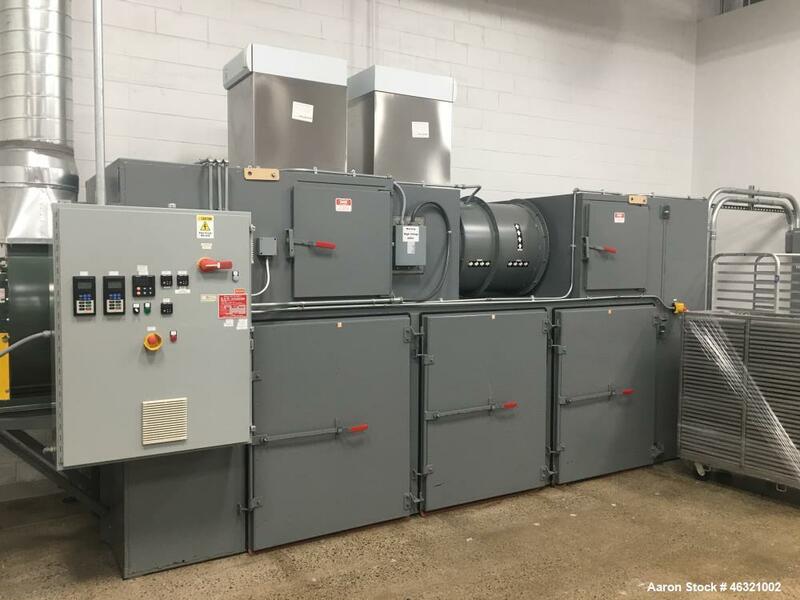 Unused Belt-O-Matic Batch Tray Dehydrator; Model TR6-66E; Holds 6 rolling carts (304SS); Each cart holds 66 perforated 304SS trays that are 18" x 26" with 1/2" lip; 5-Hp recirculating fan and 5-Hp exhaust fan with VFD on each; 41 kW electric heater; 120F maximum air temp; Prewired electric control panel; 3 ph; 304SS interior; mild steel and painted exterior; 2" thick insulation in walls and ceiling; Includes One extra cart and trays; Mfg. 2013.